Heating issues don’t happen on a convenient schedule. That’s why we’re always here, every hour of every day. When you call, you’ll speak with a Wilkinson associate right here in Massachusetts, and a technician will be ready to come out and solve your problem. Our sales staff and technicians are fully versed in the latest energy efficient solutions. 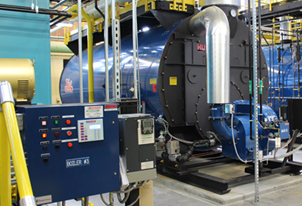 We can install a variety of money-saving upgrades to your system, including the Autoflame Combustion Management System, Siemens, Power Flame products and Limpsfield low O2 burners. 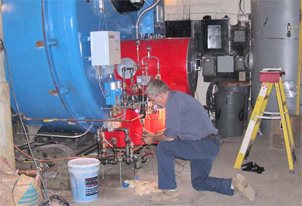 In addition, we supply and service high-efficiency condensing boilers and water heaters. Need an entirely new boiler room package? Or a burner retrofit? Have Wilkinson perform a free onsite survey and see what the best solution is for you. We’ll look at factors such as price, emissions, efficiency and space constraints, and see what works with your capital budget. We are ready to demolish old and inefficient equipment, rig in new equipment, install new piping systems (any size gas, oil, water or steam) and commission new units. 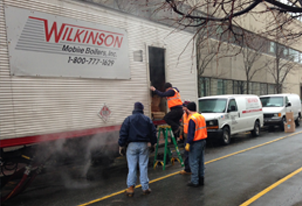 Upon completion, Wilkinson will service and maintain your units for life. Your existing unit may not be properly commissioned. It could be even be completely outdated. Let us discuss replacement with a newer model, increasing your energy efficiency and saving you money on fuel and limiting emissions. Incentives are available from the local utilities to upgrade to more energy efficient systems. Wilkinson has a solid understanding of the local rebate programs as well as the government tax breaks. To determine what boiler or burner is right for you, we work with you to get the answers to these questions: What type of system are you using? Is it a new building? What type of fuel are you using? What is your desired efficiency levels and expected longevity? Once we have some of those answers in place, we can help you choose the perfect boiler to suit your needs and budget. 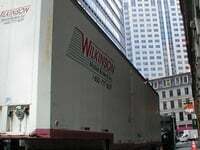 Wilkinson is the exclusive representative of Power Flame for eastern Massachusetts, New Hampshire and Maine. 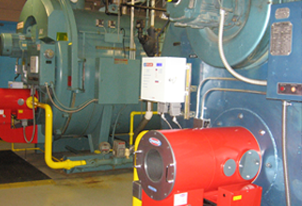 Power Flame offers a complete line of commercial, industrial burner systems and accessories. We will properly size any existing fire tube, water tube or cast iron boiler with a new Power Flame or Limpsfield burner. 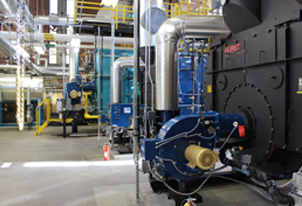 An innovative and forward thinking force in the commercial/industrial combustion equipment industry. 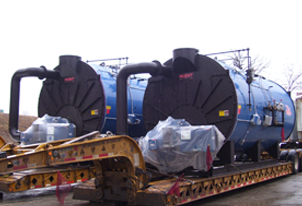 Power Flame Incorporated manufactures gas, oil, combination gas/oil, low NOx burners and combustion control systems. Designed for Commercial, Industrial and Process Applications, each one of their products share environmentally conscious designs and are crafted from quality materials by our expert staff of dedicated professionals. Power Flame represents 70% of the United States market share. Limpsfield Burners are of an industrial forced draft design, suitable for alternative or simultaneous firing of gaseous and mineral fuel oils. The unique forced draft combustion design distributes the combustion air at the burner head so that combustion is maximized at all times ensuring that all fuel is burnt safely while maintaining stable combustion and flame geometry throughout the burner firing range, resulting in efficient combustion, excellent reliability and all the time, maximizing safety. 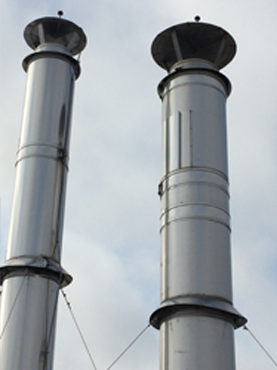 Each Limpsfield Burner is guaranteed to operate throughout the firing range at 3% O2 when firing natural gas, while producing negligible CO, thus maximizing efficiency. George T. Wilkinson is the exclusive representative of the Autoflame Combustion Management System for MA, RI and CT. Back in the early 1980’s, Autoflame invented the very first micro modulation linkage less combustion control system. 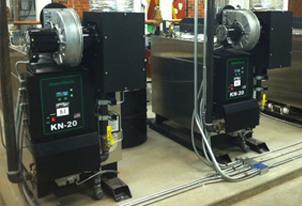 This system has revolutionized the burner industry throughout the world. In addition to the linkage less system, Autoflame also offers exhaust gas analysis with multi parameter trim, data monitoring, water level control, flue gas recirculation management and many other features. 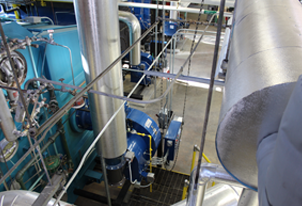 Siemens offers world class boiler facility solutions for all your needs. 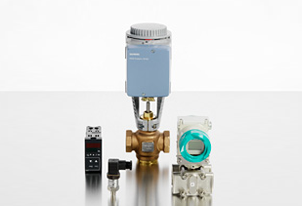 Siemens offers industry leading gas valves, oil valves, gas flow meter kits, pressure switches, variable speed drives, control motors and numerous other components. Our trained technicians have expertise in large high-rise piping projects. Riser piping is extremely critical as it supplies heating and in some instances chilled water to various condominiums or apartments. If a building does not have a regular maintenance program with a local water treatment vendor, corrosion and failure may occur. Plus, some buildings don’t have individual riser isolation valves. Without these valves, it becomes necessary to drain an entire building of its water and its expensive chemicals. 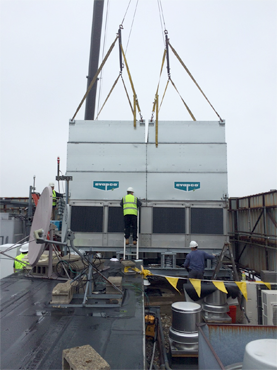 One item that many customers aren’t aware of is that George T. Wilkinson, Inc. also offers their expertise on the installation of cooling towers. We will install cross flow, counter flow, factory or field erected, induced draft vs. forced draft. Energy efficiency and working with the team to determine the best fit for your building. It’s no secret that upgrading your equipment costs money. However, if you’re located in Massachusetts, Rhode Island, or Connecticut, you can take advantage of some truly valuable rebates. These incentives can be applied to condensing boilers, high efficiency burners, boiler/burner controls, high efficiency domestic hot water installs, steam traps and numerous other items. A check will be sent to you or GT Wilkinson, depending on your organizations preference. Rebates in some instances can add up to half the cost of the job thus the paybacks are extremely fast. Please call 800.777.1629 to see if your facility may apply and what it can do to ensure a more rapid return on investment. George T. Wilkinson, Inc. understands that our most valuable asset is our people. Nothing is more important than their safety and well-being. Our coworkers and families rely on our commitment to safety. We have established programs and guidelines to implement project safety and provide a safe workplace for all employees. We continually look for ways to improve our environmental, health and safety performance. We pledge to place the safety and well-being of our customers, employees and sub- contractors first and foremost. Working together, we can enjoy a safe and stress-free workplace.